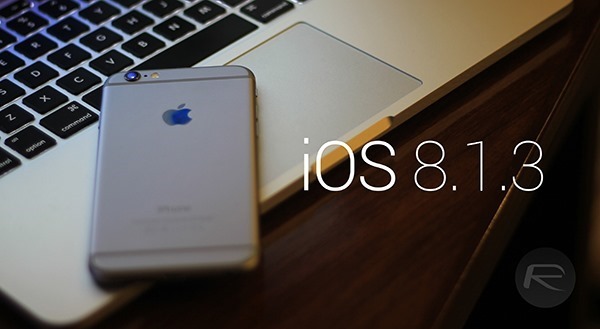 The iOS updates have been aplenty since the launch of iOS 8.0 back in September. We’ve already seen several updates ranging from major to the minor iOS 8.1.2 download rolled out recently, and while iOS 8.2 is still in beta and expected to arrive at some point in January, it looks as though we’ll be getting at least one more update before then. iOS 8.1.3 is currently in testing, according to activity logs found on the Web, with a low number of devices showing as running the software. The fact that so few are engaged in the testing process suggests that iOS 8.1.3 will be a fairly straightforward bug fix update, and may perhaps afford iPhone 4s users some of the performance tweaks that have been seen in iOS 8.2 beta 2. As well as the apparently low-key nature of the testing, the numbering of iOS 8.1.3 points squarely at a rudimentary update, and with iOS 8.2 said to be a few weeks away from making its grand entrance, it would make no sense for Apple to begin squeezing in new features unnecessarily. There’s no telling precisely when iOS 8.1.3 will be available for download, but with activity having hit something of a spike recently according to MacRumors’ stats, we’d hazard that it’s imminent. Whether the minor tweaks will take the form of blocking the exploits that have made the TaiG jailbreak possible remains to be seen. All will be revealed upon release, of course, and as and when iOS 8.1.3 is made public, we’ll have the details right here. Presumably, it’ll be an update for iPhone, iPad and iPod touch users, although it’s not unheard of for certain small version jumps to cater only to, say, the iPhone, so whatever happens, we’ll make sure you’re duly informed. As for iOS 8.2, its flagship feature will be the support for Apple WatchKit, in anticipation of the release of Apple Watch at some point in early 2015. We’ll keep an eye out for any important info on either of these updates, so stay tuned! So glad I JB all my devices already to 8.1.2! In before the lock! haha i should probably do that. i’m on 8.1.1.